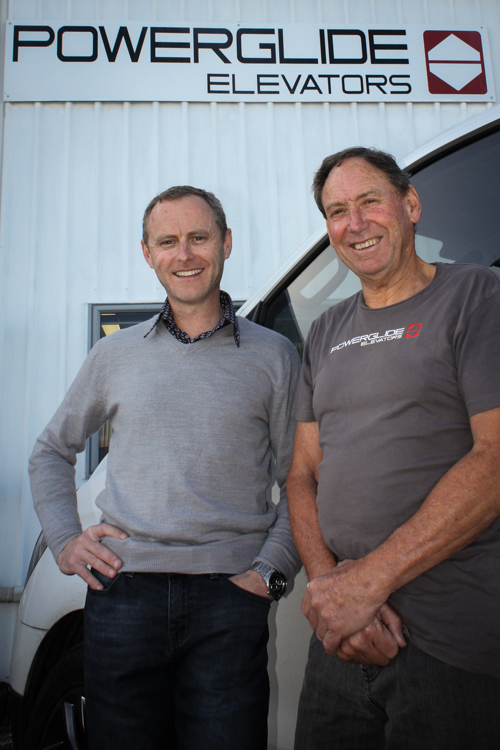 Powerglide is proudly NZ owned and operated, partnering with leading NZ suppliers to provide a personalised design-and-build service from our Tauranga factory. Our vision is to make high-quality elevators widely accessible to the New Zealand market by thinking smarter and finding innovative ways to deliver outstanding quality and service at realistic prices. And the rest, as they say, is good-old-fashioned Kiwi ingenuity history. Ian, along with Allan and wife Fiona, launched Powerglide Elevators in 2005. We have now built more than 450 elevators and installed them the length and breadth of NZ. Powerglide Elevators grace the homes of some of NZ’s most impressive and dramatic homes and have featured on Grand Designs. We’ve worked with top architects and well-known designers, and have created a bespoke elevator that features as the centre-piece in one of NZ’s most wacky and wonderful commercial installations. More recently, we’ve created a Ready-to-Install range, delivering Powerglide’s industry-leading quality and style as simply and cost-effectively as possible. Throughout our journey, we have remained true to our proudly NZ made philosophy, and are committed to always delivering the quality, personal service and realistic pricing that Allan was searching for 20 years ago. We partner with top quality NZ suppliers to source industrial quality componentry, and manage the full assembly process for each and every elevator in our Tauranga factory. Powerglide Feature on tv3’s the Cafe. In the lead up to this years Auckland Home Show earlier this year, our very own Allan from Powerglide featured on TV3’s The Cafe.